So you're going to college? That's lovely. You should know, however, that there's some good news and some bad news about that. The good news is that you're effectively a citizen of Candy Land for the next four years, and life will never be this simple and whimsical and comprehensible again. The bad news is that it's going to cost you so, so, so much money. All we're saying here is that you should pick wisely (and we don't mean pick the one that seems the most fun -- they're all fun). Pick the one that'll actually pay off down the line, in your wallet and in your brain. To help you do this, we recommend perusing this report from WalletHub on the colleges and universities with the most value for students. To "determine the top-performing schools at the lowest possible costs to undergraduates," WalletHub compared almost 1,000 American colleges and universities across 30 metrics. These were broken down into seven categories, like Student Selectivity, Cost & Financing, and Career Outcomes. To score those categories, WalletHub surveyed data on things like student-faculty ratio and post-attendance median salary. And because this takes the long view, it also took into account factors like student-loan default rate. Head over to WalletHub to review the full ranking, which even breaks into regional rankings, but below we've listed the top 30, plus a handy map that gives an overview of where these schools are located. It'll probably come as no surprise to you that half of the top 10 here are Ivy League schools. Apparently, brand recognition still goes a long way, and they scored high marks on categories like post-attendance salary and graduation rate. Plus, you really can't put a dollar amount on feeling better than everyone who didn't go to an Ivy for the rest of your life (we're assuming). 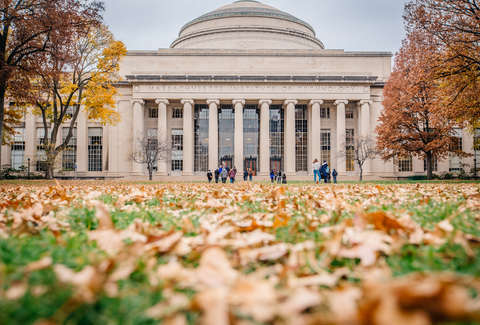 Still, the top slot here went to MIT, which tied for fourth lowest admission rate, tied for lowest student-faculty ratio, had the highest return on educational investment, and the highest post-attendance median salary. All of these (except for that extremely elitist acceptance ratio thing, which, who cares?) are very good things to keep in mind when you're looking for a school. You probably noticed that the East Coast dominates the top 10. In fact, if you look at the map, the eastern half of the country has far more schools on the ranking than the western half of the country, which is pretty sparse until you get to California. But there are plenty of great schools over there, and it's definitely worth noting that the colleges that had the lowest student-loan debt and student-loan default rate weren't necessarily the ones at the top of the overall ranking -- and they definitely weren't the ones that had the lowest admission rates. Also, you know what's a really great bang for your buck? Going to a state school.